This peaceful scene is quite unlike what it looked like in the aftermath of this struggle in 1862 known as Gaines Mill. This is the third engagement of the Seven Days Battle and a clear Confederate victory. Only about 9% of the battlefield is under NPS but this is the center of the Union line and where the south broke through to the left of this photograph. The house is the Springfield Plantation or the Watt House. 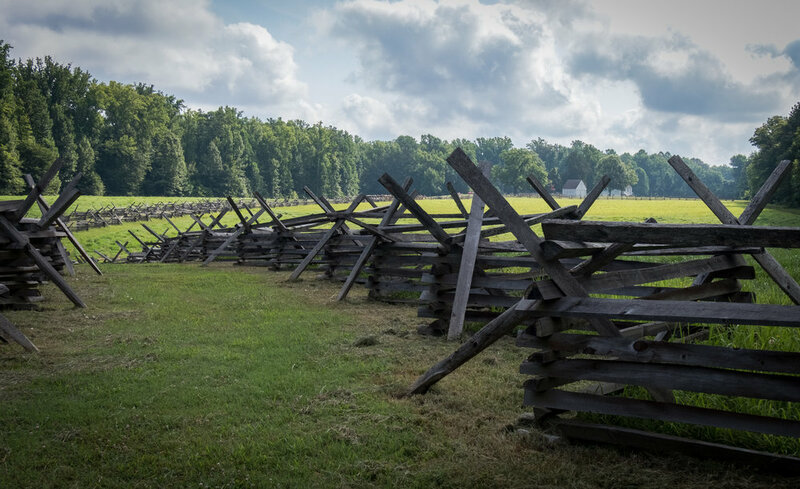 The fence is a replica of what was here on either side of the road to Richmond. It was taken apart to build a defensive line for the Union. The widow who lived in the house fled in a wagon. She died two years later having never returned to her home.